An effective pre-sell page does more than just pre-selling. 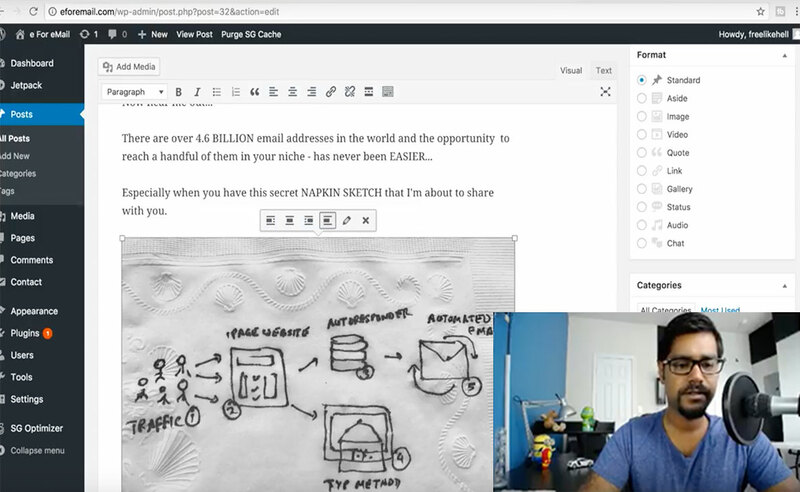 There are several key concepts to create a pre-sell page for optin funnels. We will be using our ‘thank you page‘ which shows up right after a person has opted in to our list, and use that as a pre-selling tool to try and close the sale from Day 1. 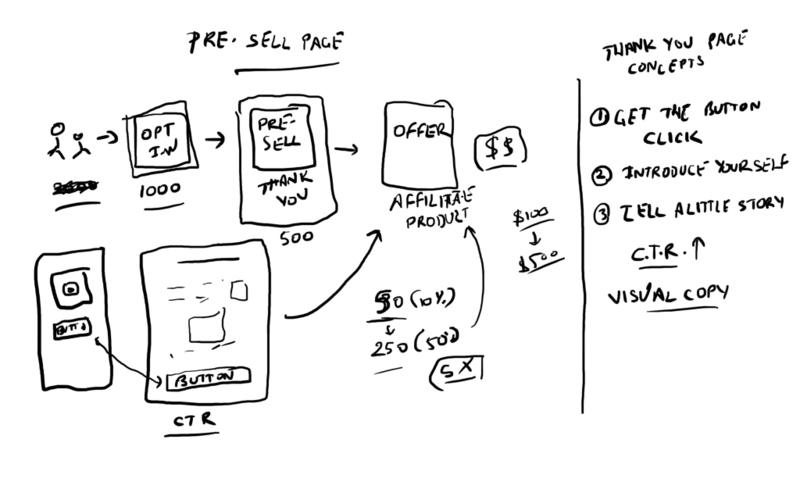 In today’s 15-Minute Sprint, I wrote pre-sell copy for our thank you page and also explained all the concepts you need to know to write an effective pre-sell page. After finishing our optin page yesterday, the next step was to write copy for the thank you page because that’s where our users will be taken right after they enter their email address. Remember, the user has just engaged with your business and entered their email address – so they are already a little qualified. All you need to do on the thank you page is convince the new subscriber to click on the big button on that page. There’s a big button on that thank you page that directs the user via your affiliate link to your affiliate offer. Say you send 1000 visitors to your optin page. 50% of them subscribe to your list. So 500 people reach your thank you page. There’s a BIG difference between getting only 50 of those people to click-thru to your affiliate offer versus getting 250 of them to click-thru. The more people you qualify to click-thru and take action on the affiliate offer – the more revenue you could have potentially. In our hypothetical example, we can hypothetically get 5x more revenue straight off the bat. Do you see now why it’s so important to pre-sell the audience? That’s just from the selling angle. There’s another important role of the thank you page. Even though they just opted in to your list – they have no idea who you are. So if you start emailing them, they’ll pretty soon forget you and either unsubscribe from your list or worse, ignore you all-together. Mention your name, and if possible – your picture. Tell a little story about yourself. You can be blatantly honest with them and still do effective pre-selling. So remember – the goal here is to get the highest CTR possible on that thank you page button. If you want to learn more about effective copywriting, check out Copywriting Academy! Today’s sprint was all about writing copy. I loaded up the WordPress editor in our domain name and started writing in a draft post. I wrote. Then paused. Then wrote some more. Finally – our shiny new copy was written and done. I tried squeezing in the publishing of that copy inside the Launchpad software, but we ran out of time. Tomorrow, I’m going to publish that thank you page and try to get the thank you page video recorded. What happened to day 6? I’m trying to catch up but its missing – Day 3 is also not there but I think that is a typo. Please advise.